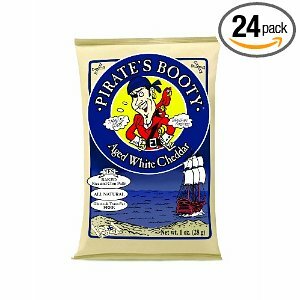 Amazon has a really great deal on Pirate's Booty, Aged White Cheddar, 1-Ounce Bags (Pack of 24) right now! If you sign up for the subscribe & save option (you can cancel later), your price will be only $14.46 for a 24 pack of 1 oz bags! That makes them only 60 cents a bag! Shipping is FREE with Amazon Prime. I like these because they are perfectly portioned! My son likes them too, and it's good for an on-the-go snack. Don't forget to enter my first ever giveaway!!! One lucky winner will win a t-shirt or gift card from Crazy Dog Tshirts! Read more about it here & be sure to enter today! Hershey's has a new instant win game . . . you may get lucky and win a bag of new Hershey's Drops! You can play every day now through November 25. There are 1,200 lucky instant winners (of a FREE bag of Hershey's drops) plus one grand prize winner of 52 bags of new Hershey's drops! Good luck & let me know if you're a winner! 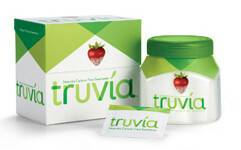 Head on over here to grab a FREE SAMPLE of Truvia from Daily Candy! This is a great sugar alternative! 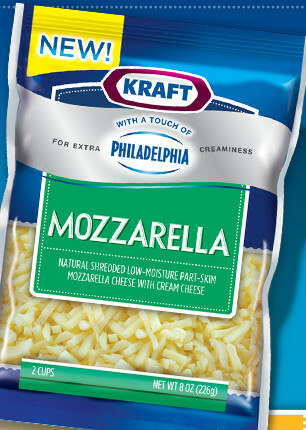 Head on over here to print your $1 off one Kraft Natural Shredded Cheese with a Touch of Philadelphia coupon!!! Click on "Coupons" and it should take you right to it. I couldn't get it to work yesterday, but it's working right now. You should be able to print 2 (hit your back button). This is gonna be an awesome coupon. Harris Teeter has Kraft shredded cheese on BOGO this week, so I'm excited for cheap cheese! 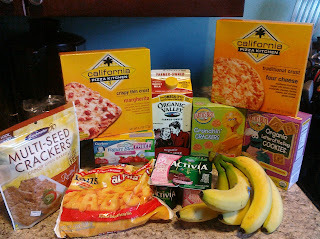 I'm very pleased with the goodies I got today, the LAST DAY OF SUPER DOUBLES at Harris Teeter! 2 boxes of Earth's Best Sesame Street Crackers (I'm excited about this one for the FREE DVD offer!) I used a $1.00 off 2 coupon that SUPER DOUBLED . . . making them only $1.19 a box! 1 Gerber Yogurt Blends on sale for $2.00 (sorta high if you ask me!) (reg. $2.79) but LOOK for the "TRY ME FREE" Rebate!!! Harris Teeter: $ .09 California Pizza Kitchen Pizzas (today only!)!!! Ok, so you know the hot California Pizza Kitchen coupon I just posted about here? Well, today at Harris Teeter you can grab 2 for only $ .09 each . . . here's how! Use the 2 coupons. They will double since it's SUPER DOUBLES!!! This makes them $.59 each . . . .
but then you will get a Catalina Coupon for $1.00 on your next order! This makes them only $.09 each! Keep in mind, SUPER DOUBLES ends today, so you can only get this SUPER HOT deal today! Stay posted for details of my last Harris Teeter SUPER DOUBLES trip! Coupon: $4 off 1 Wholly Guacamole Coupon (Facebook offer!)!!! Wow!!! Talk about a high value coupon!!!! 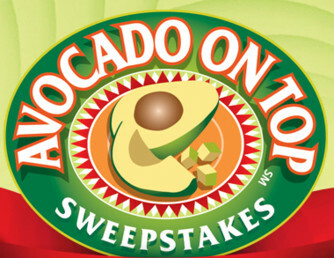 You can snag a $4 off 1 Wholly Guacamole coupon from their Facebook page! It's gonna go fast I'm sure, so get it while the gettin's good!!! If you're looking for all-natural (& organic), allergen-free coupons . . . here you go! 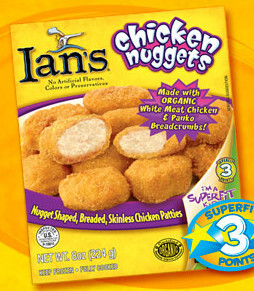 There are a bunch of Ian's coupons (and some others!) available here from Delicious Living! Also, Mambo Sprouts is another great place to find a variety of other gluten-free/all-natural/organic coupons! Coupon: RARE $.75 off any Quorn Foods product! All-Natural & Meat-Free! Vegetarians delight! 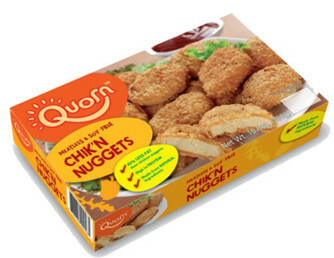 Get your $.75 off any Quorn foods product coupon here! Look under the Foods section. Coupon: California Pizza Kitchen $1.50 off Coupon & Catalina Deal too! There's a great high value coupon for $1.50 off California Pizza Kitchen pizza available from Coupons.com! Go here to print it now! Also, Harris Teeter SUPER DOUBLES is going on through today, so you should be able to get the single pizzas for about 60 cents after doubling! Hurry and print it now if you want it! It was gone fast yesterday! You can try zip code 90210 if you can't find it! Play now through November 26! Good luck & be sure to let us know if you're a winner! Gallon of Organic Popcorn only $1.95 Shipped from One Kings Lane!!! Once you sign in, click on the Gourmet Popcorn Collections from 479 degree popocorn and you will see the popcorn canister . . . it's on sale for $9 (reg. $16) and the rest of the $15 credit goes toward shipping . . . making it only $1.95 SHIPPED! This would make a perfect host/hostess gift or a nice snack for those upcoming holiday gatherings! 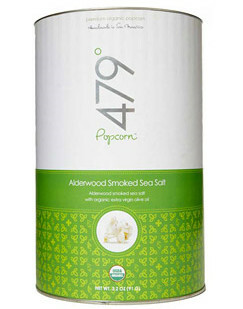 The flavor I chose (Alderwood Smoked Sea Salt) is organic and Gluten Free! If you want to sign up for One Kings Lane , you may find something you just love (at a deeply discounted price!)! One Kings Lane is a discounted high-end goods sales site where there are new sales daily that last only 72 hours.